Happy New Year everyone! I have recently made a pact with myself that I am going to kick start my fitness regime and sort out my eating habits. I have signed up to a training programme and I am on a new food plan ... so far, so good! January seems to be the time when everyone wants to change their life for the better and plans to kick start the year healthy!! I am amazed at some of the fitness clothes that you can get these days, long gone are the loose tracksuit bottoms and in their place are chic and feminine activewear. I was hunting for some new fitness clothes online and I had to share some of my finds with you ... I love the black nike trainers with the mint tick. I am still crazy for anything mint ... that won't be changing in 2014! 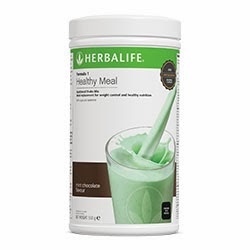 Speaking of mint, I have also bought the new Herbalife mint choc chip shake ... Has anyone tried it yet? Herbalife seems to have slam dunked this one as it is far nicer and DRINKABLE than some of the other flavours out there. I love it - it actually tastes like drinking mint choc chip ice cream. I am lucky enough that my good friend, Gillian, is a distributor and I can get my hands on it really easily ... You can check Gillian out here and here for any nutrition advice or Herbalife questions - she's always happy to help :) . Have you made any new year resolutions this year? If so, I would love to hear what they are! This is wonderful work out wear! Love number 4!